Digital cameras can be used with several accessories. One of such accessories is the telescope. The camera can be used with lenses, filters, external flashes, and tripods. The use of digital cameras with telescopes is most often ignored by people. An average camera or telescope user has no idea how the two can work together. The first question they will pose is how the camera and the telescope can work together. If you are wondering if the two can work together then the answer is yes, they can. Digital cameras and telescopes are used by photographers involved in wildlife photography or scientists that are involved with astrophotography. The telescopes are usually used with digital or 35mm optical camera. The telescope attachment kits contain T-mount adapters, camera-specific adapters, eyepieces, and other accessory parts that will make the whole procedure very easy. The major selling point of camera adapters is the versatility they offer. Purchasing a quality camera adapter will enable the photographer to utilize the telescope and the camera maximally. The camera adapters do not restrict a photographer to purchasing only one brand camera equipment and accessories. 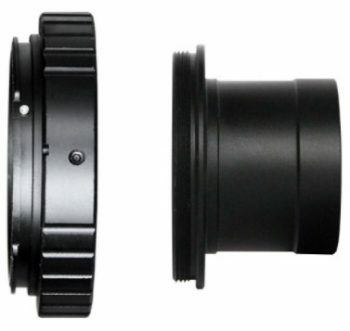 A telescope camera adapter is a metal ring that is designed to fit in between the camera and the lens of a telescope. The adapter enables any telescope lens to be used with any camera available. There are different brands of cameras that are used with telescopes and each one features a particular type of mounting platform. As photographers, there are cameras that are preferred over the others. However, there are times when a photographer will love to use other cameras with a telescope lens. To make this happen, a lens adapter is required. A camera adapter will grant extra flexibility for photographers to choose their favorite brand of camera and still be able to use other cameras when the need arises. The flexibility offered by the camera adapters implies that a photographer will be able to create and capture several images of their desire. Purchasing a good camera lens adapter will ensure the resulting images are of the best possible quality. With the aid of a camera adapter, a photographer can be able to use old lenses with a new camera. If the telescope has been around for a while, the lens can still be used with new cameras. This might be due to the fact that some old lenses offer superior quality images or effects, but are not able to be used with digital cameras unless an adapter is used. It is now very easy to use your favorite telescope with new digital cameras. All photographers tend to have a favorite camera brand that they enjoy working with and they wouldn’t want to swap with others. 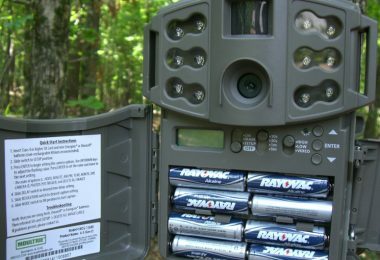 Some of the cameras are, however, not fully capable of handling the telescope that needed to be used. It is possible to switch the lens by installing a camera adapter. The adapter will enable the lens to be switched so that the required image can be captured. Lens adapters have made it possible for photographers to use wide angle lenses from different manufacturers. The adapters will allow the use of wide angle lens regardless of the type of camera they adapt it to. This point is very important because wide angle lens can get up to double the amount of viewing range, opening up greater creativity with shots for photographers. The ability to use different types of the lens on a telescope has also enabled the use of various filters. Not all filters are a fit for all types of lenses and some photographers have a preference for filters. Using various lens adapters enables quick changing between different types of filters. The filters used include polarizing filters, UV filters, and sometimes neutral density filters. Using a camera adapter can save a lot of money. Due to the use of camera adapters for a telescope, photographers do not have to spend more than needed on camera equipment. The versatility of camera adapters will save the photographer a lot of money. Now that you have an idea of some of the major features that you will need to consider in these adapters, you’ll need to take a moment. Think about your particular set up, such as if you use particular cameras and the like. Then you’ll be able to go through each of these reviews and consider the perfect pick for you. The Gosky T-Ring and M42 to 1.25” Adapter is a useful adapter that allows you to your Canon EOS Cameras to the telescope lens of diameter 31.7mm. The camera adapter is used for a wide range of Canon Cameras. 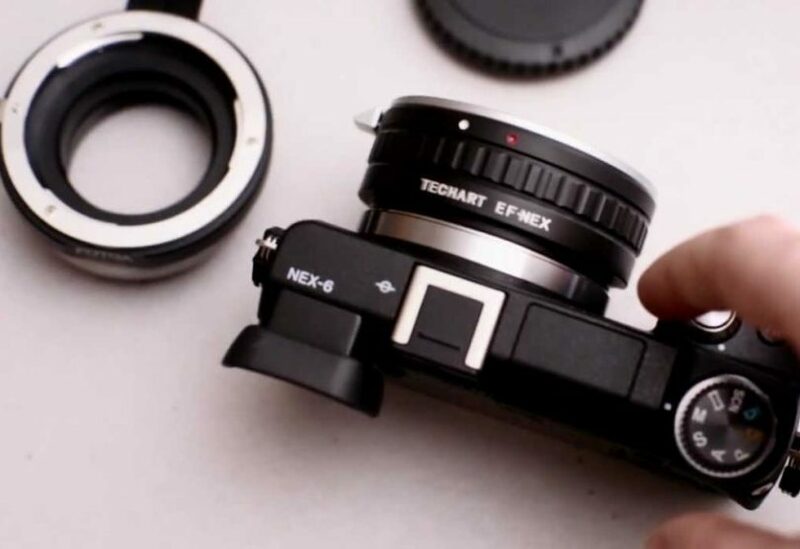 This adapter also allows you to mount the M42 Lenses on your camera with the inner rings easily rotatable, ensuring your lens is always the right way up. You do not have to worry about durability as it is constructed with metal and aluminum process. Even for beginners, this camera adapter is very easy to use. It used on over 10 models of cameras. It is constructed of metal and aluminum, thus very durable. The T-rings ensures that the lens can be rotated. It sometimes gets stuck with the camera. Related: Celestron 93419 T-Ring for 35 mm Canon EOS Camera is often bought alongside this adapter so as to replace the original one in the case of damage. 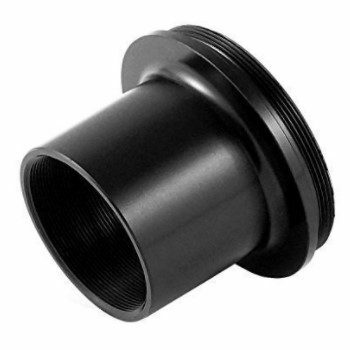 The Mystery High Quality 1.25 Inch Adapter is made to suit a two part- 1.25 Inch Telescope Mount Adapter + Extension Tube Mount Adapter. The adapter is suitable for cameras like Nikon Canon and Sony mirror-less cameras or DSLR/SLR cameras. It is highly durable as it is constructed with all parts metal and is suitable for eyepiece projection with a 1.25″ eyepiece. Reflections aren’t a problem with this telescope as it is fully threaded to minimize that. It fits almost all standard 1.25″ astronomical telescopes and accepts filters (thread inside the tube), providing you a perfect astronomical experience. It has T-rings to support mirror fewer cameras. It is fully threaded to minimize reflections. It comes with an extension tube. You cannot achieve the cameras focal plane through this unit. 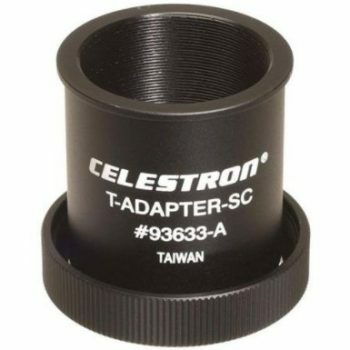 Related: This adapter would be great to pair with a telescope such as the Celestron Nexstar 8 Telescope. 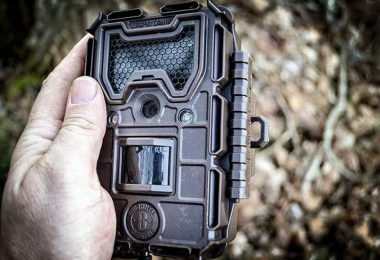 This should give you the ability to get some great photos. 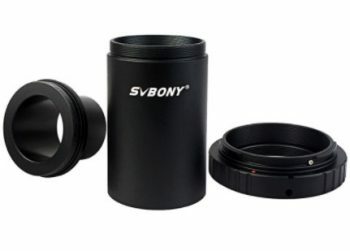 The SVBONY Fully Metal 1.25″ T Adapter and T2 T Ring Adapter is designed for SLR DSLR camera digiscoping. The digiscoping makes it easier for the camera to connect to the telescope for direct prime focus photography. It is very easy to use with the T-rings giving the adapter ability to rotate. The extended cylinder length can adjust eyepiece location, helping you to get a sharper image. Extended cylinder length gives sharper images. Very durable as it is made with high-quality materials. Related: For added utility, you might want to consider picking up a Gosky Universal Cell Phone Adapter. That way in addition to DSLR style cameras you’ll be able to use your mobile phone to take some pictures. 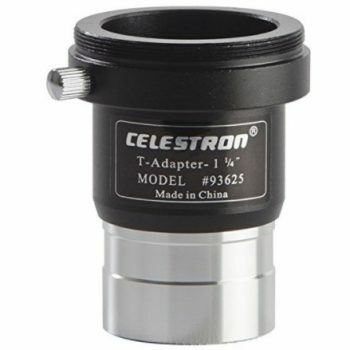 The Celestron 93625 T-Adapter is designed for attachment of 35 mm SLR camera to the prime focus of your telescope. The adapter is multi-functional as it is great terrestrial, short exposure lunar, and planetary photography. If you are fascinated with long exposure deep-sky photography, then you can use this adapter alongside a guide-scope. It fits any type of telescope that uses a 1.25-inch focuser or visual back. For the camera to work, both a T-Adapter and T-Ring should be mounted. It can be used for terrestrial, short exposure lunar and planetary photography. With the aid of a guide-scope, long exposure deep-sky photography can be done. It is attached to a high diameter camera. It doesn’t allow the camera to focus. The dimension is not up to the advertised one. Related: Celestron 93419 T-Ring for 35 mm Canon EOS Camera is bought alongside this adapter so as to replace the original one in case of damage. 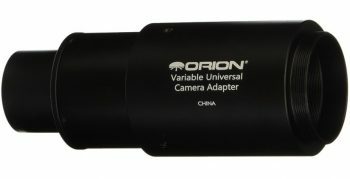 The Orion 1.25-Inch Variable Universal Camera Adapter is an adjustable adapter that allows you to attach a T-ring equipped DSLR or SLR camera directly to your telescope. The adapter can be used for either prime-focus or eyepiece-projection astrophotography with refractors or reflector telescopes. It comes with T-threads for attachment of camera body. 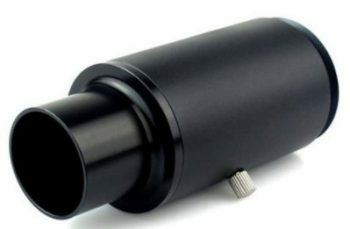 The adapter also allows you to vary the magnification without changing the inserted eyepiece when performing eyepiece projection astrophotography. 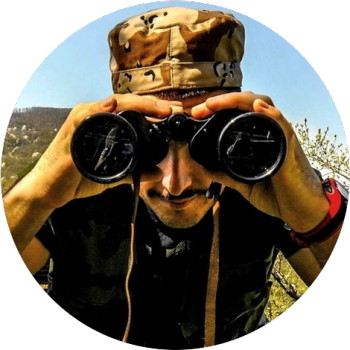 Allows you to vary the magnification. Used for either prime-focus or eyepiece-projection astrophotography. It has T-threads for attachment of camera body. It does not adjust enough to focus with some telescopes. It doesn’t come with an instruction manual. It pushes the camera’s focal plane too far from the telescope. Related: Of course, if you are looking to get some photos of the moon you might need to pick up a moon filter, like the 13% Transmission Filter from Orion. This will block out some of the extra light from the moon during your photo. 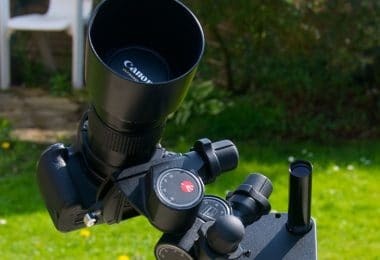 The Celestron T-adapter for all Schmidt-Cassegrains is used for attaching an SLR or DSLR camera to a Schmidt-Cassegrain telescope for prime focus photography. It has threads on to the rear cell of Schmidt-Cassegrain telescopes. The T-threads accept camera brand specific T-Ring though the rings are sold separately. 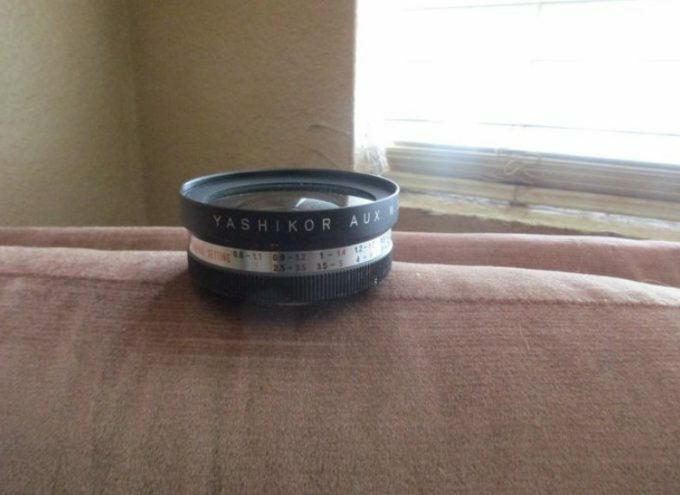 Used for prime focus photography. It’s T-threads accept camera brand specific T-Ring. It is excellently packaged and easy to use. The threads are poorly finished. 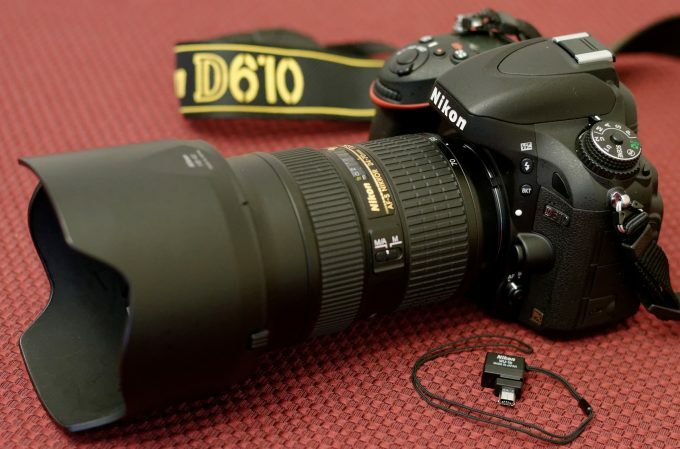 Related: If you don’t have a high-quality DSLR camera, you might want to pick one up, like the Nikon D5500 Camera. 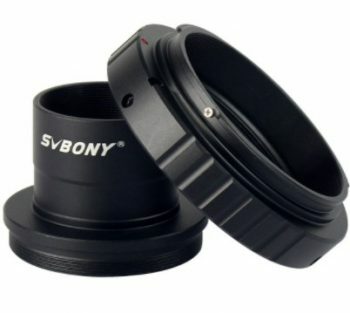 The SVBONY T2 T Ring Adapter and T Adapter is an adapter that is perfect for SLR DSLR cameras photography. It allows you to connect the camera to a telescope for direct and prime focus photography. It is perfect for both beginners and veterans as it is very easy to use. Its universal t adapter fits all standard 1.25″ diameter telescope microscope. It is very durable as it is made from High-quality metal materials that are tight and non-binding. Perfect for prime focus photography. It is compatible with all standard 1.25″ lenses. The threads are designed roughly. The hole to mount the adapter is sub-standard. The Solomark T T2-Ring Adapter is compatible with a lot of cameras, in fact, it will function well with almost any of the current generation of Nikon DSLR cameras. 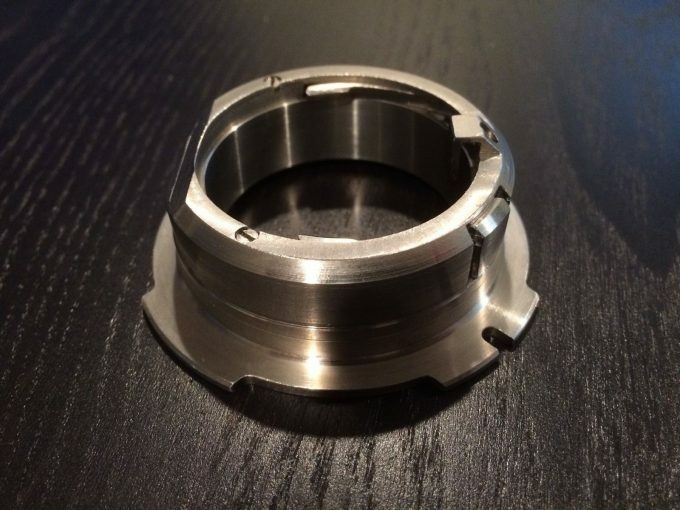 It is very durable as it is constructed with a CNC Metal and an anodized aluminum. It allows the photographer to attach a NIKON SLR Camera to the standard 1.25-inch eyepiece diameter Telescope and has a lifetime warranty. Very durable as it is constructed with a CNC Metal. It can be used for a wide range of cameras. It sometimes doesn’t allow objects to be brought into focus. The telescope camera adapters reviewed above are the best currently available in the market. For perfect use in both terrestrial and celestial photography, you’ll want to pick one of these adapters. It is important to take into account not only the type of camera and telescope that you are using but the variety of photos that you are looking at taking. If you have a telescope camera adapter, you can share with us which one you prefer the most and if you don’t have one, then any of these will be great for you.